Tomorrow night Crónica will be celebrating 10 years of ongoing activity with a double bill performance in Lisbon. 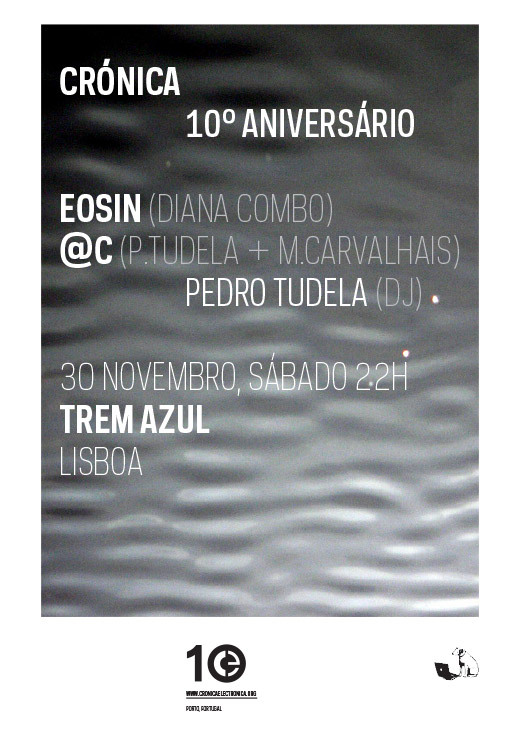 Trem Azul will host performances by @c and Eosin and a DJ set by pedro Tudela. This entry was posted in Live and tagged @c, Eosin, Miguel Carvalhais, Pedro Tudela. Bookmark the permalink. Comments are closed, but you can leave a trackback: Trackback URL.